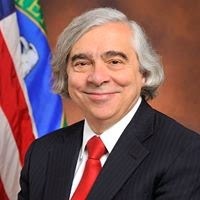 Folks have asked if I photoshopped Dr. Moniz's photo. This is his profile photo on FaceBook and is 100% authentic!!! Ask What Me Worry he will tell you. Prof Rust old what me worry will claim he brought down the price of oil by making bio fools wide spread. He still thinks KIOR, Cello, and Range Fuels are winners.